About four business hours after you fill in the form one of our experts will be in touch to schedule a demo. In this demo, we'll walk you through the simple yet powerful user interface of Shift Admin. HOW DOES SHIFT ADMIN HELP YOU AS THE SCHEDULER? 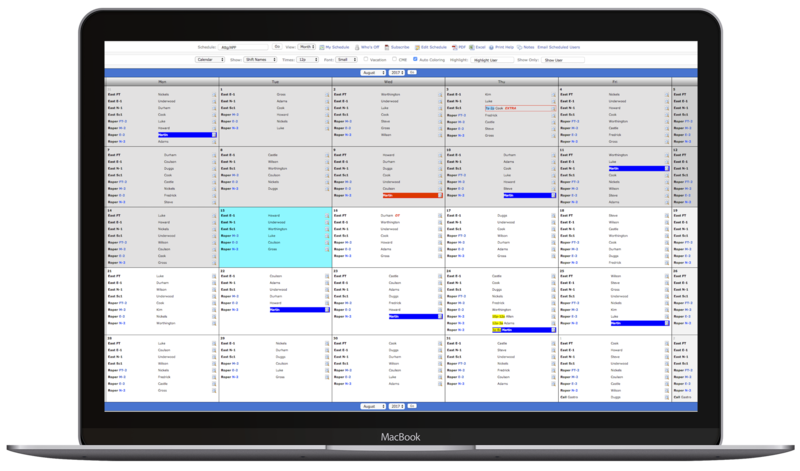 Shift Admin allows you to create a complete, fair, and equitable schedule for all your users based on fully customizable rules and individual preferences in a fraction of the time it's taking you now. You will also be able to generate different kinds of alerts, like notifications for open shifts. Additionally you can monitor vacation requests and allow users to upload documents like certifications.